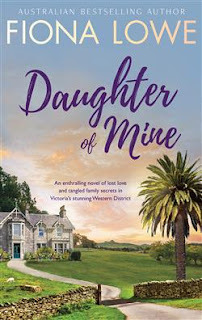 With an easy going writing style and an engaging story, ‘Daughter of Mine’ proved to be a most enjoyable novel. Here you will find past and recent complicated family secrets and lies, loves come and go and a range of emotions from the young through to serious mental issues are covered. What I truly embraced with this book was the realistic and authentic dialogue, not only between family, but also those extending beyond that. Here Lowe will provide you with an array of characters that face obstacles and heartache and there is sure to be at least one character that you unwittingly nod your head at, either in agreement or frustration. Still, it goes to demonstrate how well Lowe captures a range of relatable characteristics and how everybody can deal differently with a conflict or family problem. I appreciate the detail and time Lowe invested in each of the main characters so that you could try to appreciate how it looked coming from their side of things. Set in a small town it all comes across as very believable and you will find yourself cheering for some and hoping that fate delivers its blow to others. For a longer book, it moves at a good pace and I was readily engaged throughout, eagerly turning the pages. I can genuinely recommend this as a good family drama/saga.